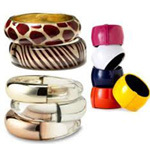 As a mom there is one thing I know for sure – Mom’s love when the little ones make them gifts. 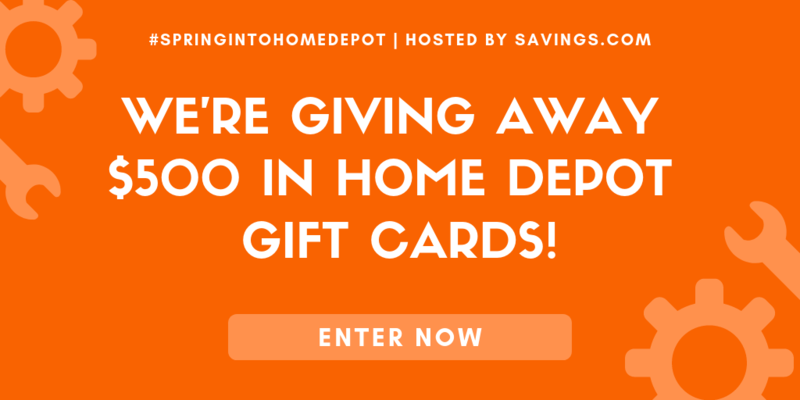 My daughter is a teenager now and I do not get to enjoy these precious gifts any more – but maybe I will get lucky and she will see this post and get a hint of what mom really wants this year for Mother’s Day. 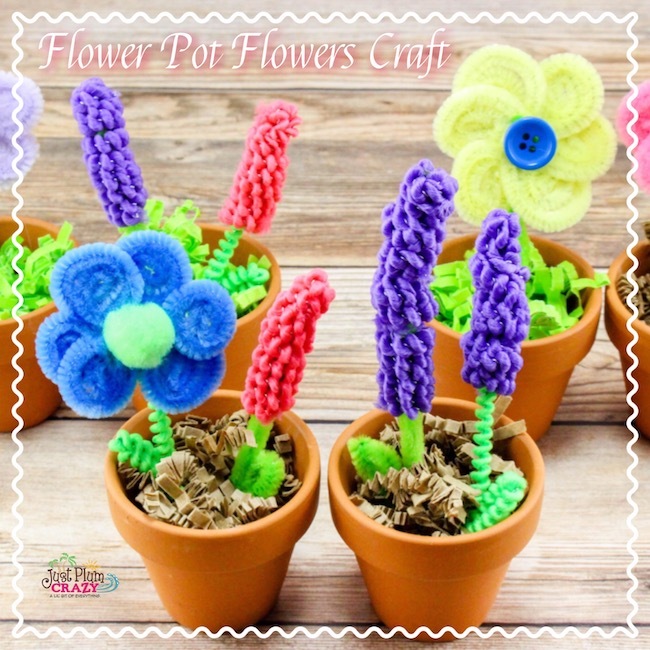 Yes, she has bought my real flowers, but sadly a green thumb I do not have which is why these flower pot crafts are just perfect for mom’s like me! A couple weeks ago, I shared a Celery Stamping Flowers Craft that is perfect for Mother’s Day so now I want to add this adorable option for that special someone on Mother’s Day. Every one of these items I was able to get at the Dollar Tree store near me and was well under $10.00 making this one affordable gift that mom will really love. 1. 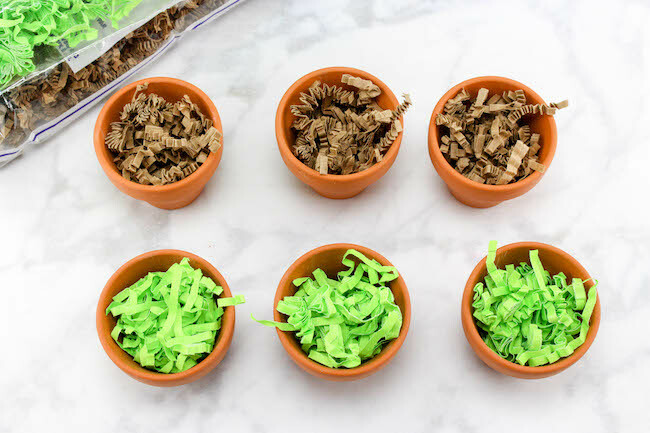 Fill 3 each of the clay pots with the brown or green confetti and press it in the pots tightly. 2. 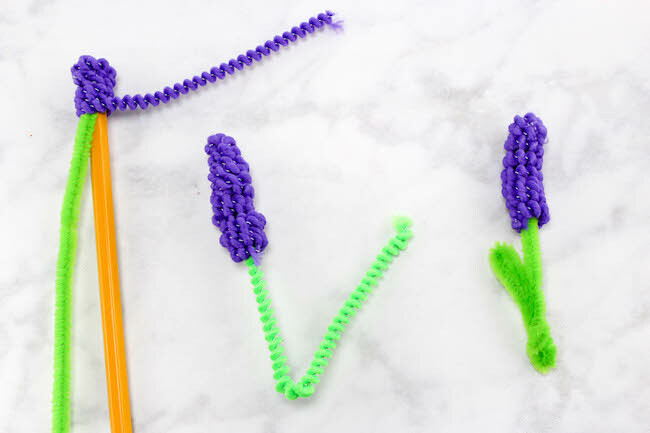 To make the hyacinth flowers take a green pipe cleaner and place it against a pencil. Using a purple or pink pipe cleaner, wrap tightly around the green pipe cleaner down about 2 inches from the end. 3. Remove the pencil and cut the green stem to the length you want it. If you want a leaf, then fold the green stem and bend into a leaf shape and twist. 4. 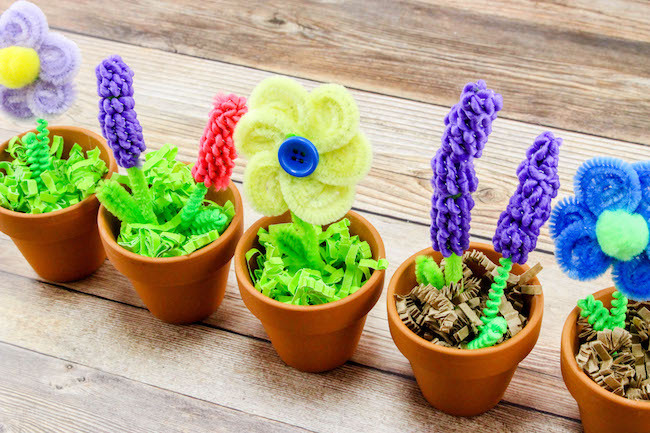 For the daffodils, take 3 pipe cleaners and fold them in half and cut about 2 inches off all the ends. Open them back up, arrange into a star, and twist them at the middle to keep in place. 5. Take each end and roll up until you get to the center. These become your petals. 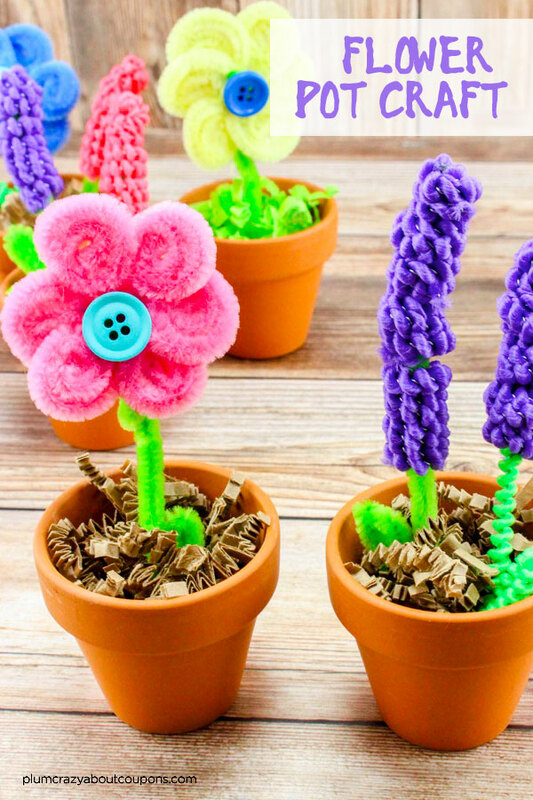 Take a green pipe cleaner and loop the end through the flower and secure in the back and trim off the other end to the length you would like your stem to be. 6. 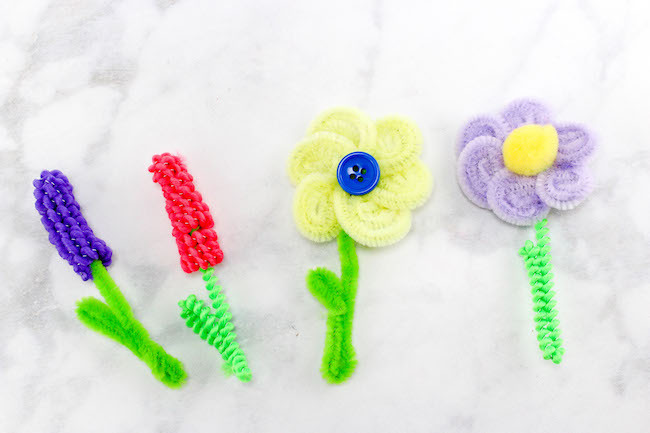 Glue a button or pom onto the centers of the daffodils. 7. Push the flowers into the little clay pots. 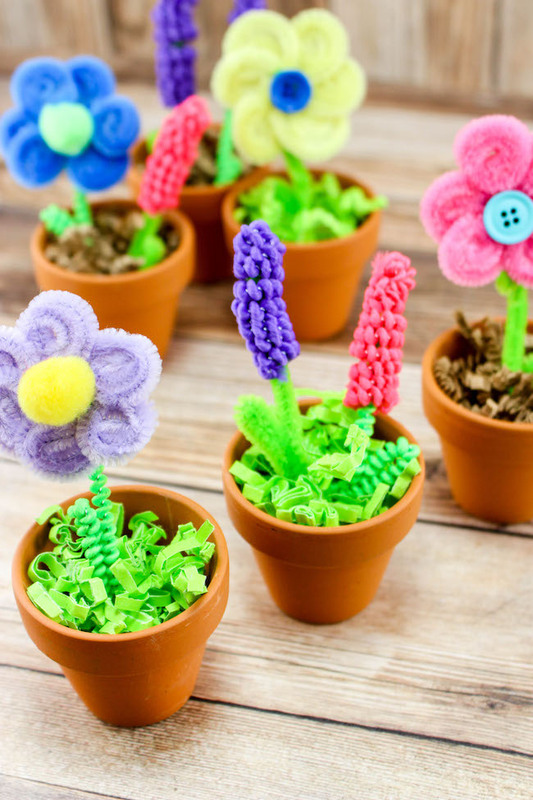 Adorable flower pot craft that the kids can make for Mother's Day. 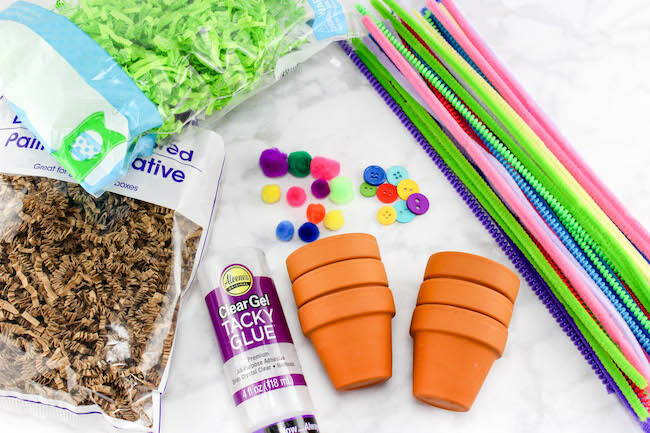 Fill clay pots with the brown or green confetti. Press it in the pots tightly. 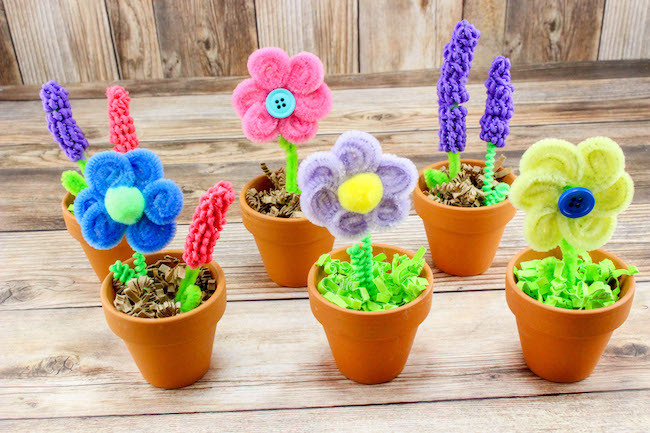 To make the hyacinth flowers take a green pipe cleaner and place it against a pencil. 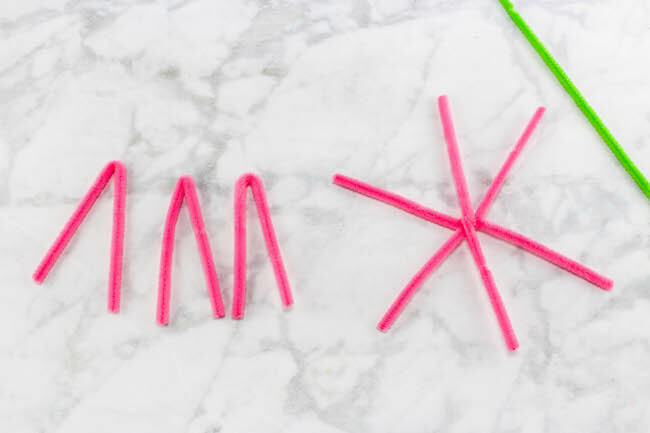 Using a purple or pink pipe cleaner, wrap tightly around the green pipe cleaner down about 2 inches from the end. Remove the pencil and cut the green stem to the length you want it. If you want a leaf, then fold the green stem and bend into a leaf shape and twist. 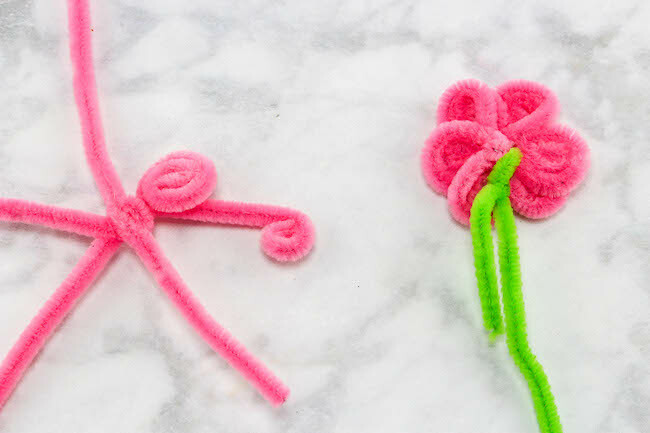 For the daffodils, take 3 pipe cleaners and fold them in half and cut about 2 inches off all the ends. Open them back up, arrange into a star, and twist them at the middle to keep in place. Take each end and roll up until you get to the center. These become your petals. 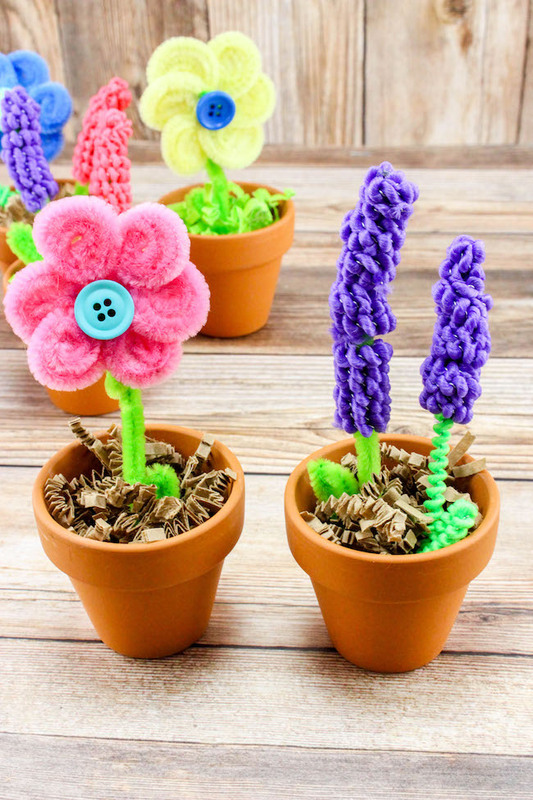 Take a green pipe cleaner and loop the end through the flower and secure in the back and trim off the other end to the length you would like your stem to be. 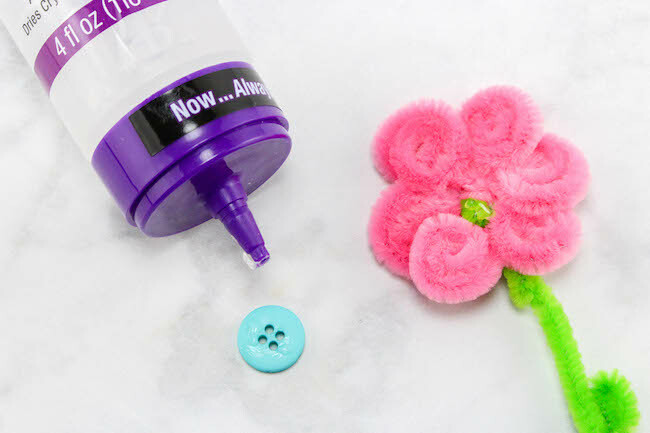 Glue a button or pom onto the centers of the daffodils. Push the flowers into the little clay pots. 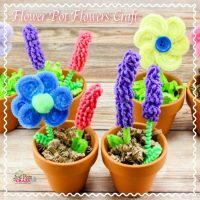 While this is a great project for kids, the younger kids will definitely need some help with the creation of the flowers. Very cute! This would be a good craft for the grandkids to create. Visiting from Pretty Pintastic Party.